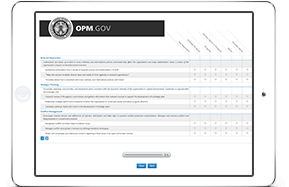 Our robust tool systematically collects opinions about an individual’s performance from a wide range of coworkers. The benefits include a panorama of perceptions rather than just self-perception, which affords a more complete picture. 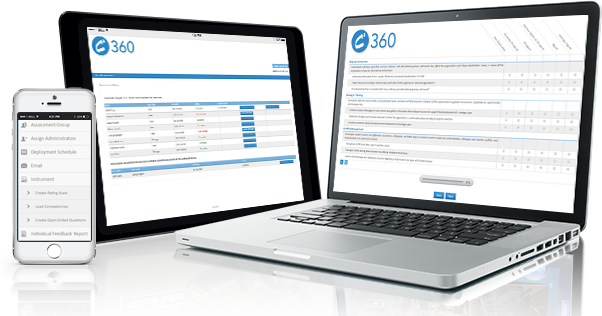 C2 360 Assessment Tool, is a highly customizable, multi-source assessment and feedback system that features tailored content and instructions, alternative administration options, and individual feedback reports that are easy to understand and interpret. 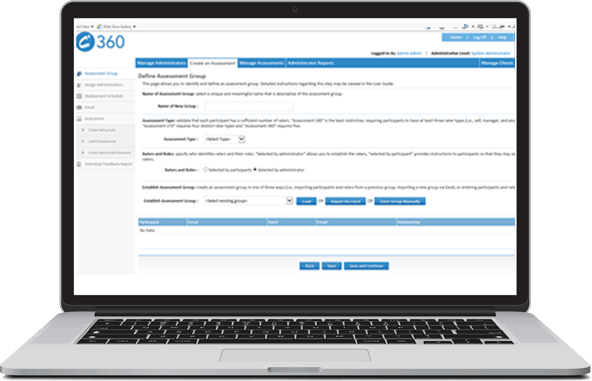 Customized branding, instructions, rating scales, and email messages ensure that every organization has a unique resource made to fit its needs. 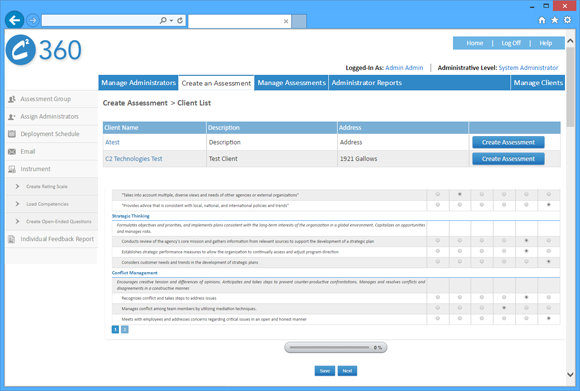 C2 360 Assessment Tool allows administrators to monitor assessments, individual feedback and development, and report delivery. 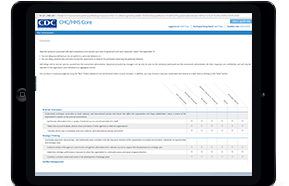 Standard reports help to reduce the number of incomplete assessments and non-responses. 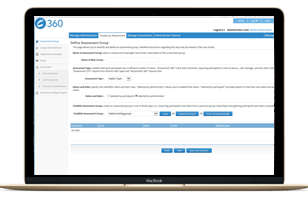 Offering convenient access via customized email links, C2 360 Assessment Tool is a 508-compliant, hassle-free user experience. review skill gaps against future jobs, and engage in relevant learning experiences that proactively prepare them for the next role.